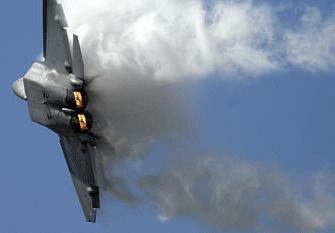 February 7, 2013 - The California Capital Airshow announced that the F-22 Raptor Demonstration Team will return to Sacramento as the headlining act for the United States Air Force on October 5-6, 2013. Captivating audiences at Mather Airport will be the breathtaking F-22 Raptor as well as spine tingling performances by military jets, world renowned aerobatic performers, wingsuit flyers, barnstorming, wing-walkers, warbirds and more. Nearly all of the high flying action has not been seen in the Sacramento region ever. “Today’s announcement is significant because the highly-sought after Raptor Demonstration Team will only appear at a limited number of air shows this year, and yet they chose our region and televised the announcement of their 2013 appearance,” said Darcy Brewer, executive director of the California Capital Airshow. “Mather’s rich aviation history, dating back to 1918, as well as the strong support from volunteers, business and media partners is what attracted this high-caliber team.” Most people have never seen the world’s only operational fifth-generation fighter aircraft, thus the Raptor’s airshow routine leaves an unforgettable first impression. No video game or special effects in a movie can match the reality and thrill of its capabilities. The demonstration highlights the maneuverability and air dominance of this stealth fighter engineered by the aviation experts of Lockheed Martin, Boeing, Pratt & Whitney and the US Air Force. Attendees will be impressed by the Raptor's power, speed, acceleration, agility, precision and thrust-vectoring capabilities; it will literally leave the crowd speechless. Once inside the Airshow gates, the young and the young-at-heart are alive with imagination and possibilities; young people are given the opportunity to watch the jets launch and fly all while meeting the actual pilots, crew and maintainers. A day at the Airshow could literally change a young persons’ view of their education and inspire them to look beyond the horizon and know that they too can be a part of history in their own way. Established in 2004, the California Capital Airshow has become one of the largest and highly-respected shows in the nation. As part of its community relations, the non-profit organization has awarded over 80 scholarships to deserving students from our region with an interest in aviation, aerospace, aeronautics and related fields.